There are some exercises that have been in the Open more than once and even more than twice. These 7 exercises have been featured in every Open since it began! 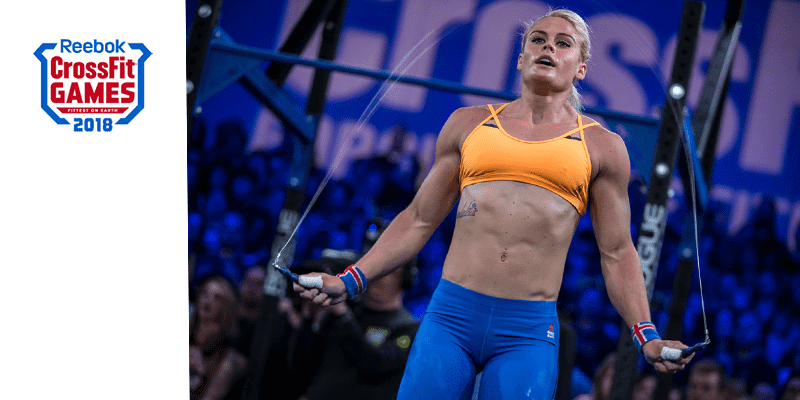 If you have trouble with any of these movements, now is the time to really try and master them if you want to finish the Open and be proud of your performances! The CrossFit Open workouts are posted every Thursday and you must perform the workout in front of a judge or videotape it and send in the results before Monday night. Ben from WODprep put together this excellent list showing how often certain exercises have appeared in Dave Castro’s programming. This year’s teaser from Dave Castro, Director of The CrossFit Games and creator of the workouts, hinted at dumbbells. That indicates maybe dumbbell snatches, dumbbell cleans or even some step ups or lunges including the dumbbells. But nothing is ever 100% certain with Dave Castro. If you can perform those well just keep that up. If not keep reading, this is an exercise many people struggle with. It can get very frustrating to hit yourself so many times, but don’t give up. If you want to do the WOD RX you must try to perform the movement correctly. The double under is like a normal jump rope but you rotate the rope twice under your legs in one jump. First: The jump must be high enough and efficient, not using too much energy to drain yourself too quickly. Double unders and single unders mostly use your calve muscles, not any other. Second: The wrists must do all the rope turning, not the shoulders. That is a common mistake, if you engage your shoulders too much they will lift the rope higher, resulting in the band hitting your legs, because the circle it makes doesn’t reach all the way down after the shoulders have lifted them higher. Third: Use your own jump rope, that has the perfect length for your height, you are used to and know the weight of. New jumping ropes are not ideal for every time. Fourth: Listen to the rope. When the rope hits the ground, it makes a noise. Find the rhythm and jump according to it. If you cannot hear the rope hit the ground, you must lower your shoulders. If you have all these points in your head, you should be able to do at least a couple of D.U.´s in a row. If you have these points but are not getting the movement, make your friend watch you and see if they can see the faults you are making. You might be putting either elbow too far out to the side.